Everyone loves goals. Nothing beats a five goal thriller. They’re the types of game that get launched to the very top of the Match of the Day highlights. So why not bet on a goal fest too? Below you’ll find our complete guide to the market, as well as where to find the best odds and offers. The over/under market is a great way to bet on football, with goals being at the top of the agenda and the odds being a nice booster to combine with other markets. Like the Win To Nil market, it’s ideal for a combination bet on the games with lesser odds, and can make you a significant jackpot. We love a high scoring bet here at Bet & Skill and down the years have become good at picking the games to back. The over/under market is a relatively easy concept to understand with you ultimately making a bet on the number of goals you believe will be scored in a game. In this case you’re backing whether there will be more than 2.5 goals scored or less than 2.5 goals scored. The .5 is in place to ultimately protect the draw, so you can only win or lose rather than see that exact number of goals scored. So, let’s say for example you were to bet on a game between Newcastle and Tottenham. In this game you think there is going to be a lot of goals so back there to be over 2.5 goals scored. To win therefore, you would need to see three or more goals scored in the game. This could be in any result, although ultimately would need to be at least 2-1 or 3-0 to the home or away side. Results such as 2-2, 4-0, 3-1 would all see a winning bet, while the likes of 2-0, 1-1 and 1-0 would lose the bet as there is only a maximum of two goals scored. The same applies to under betting, so if you were to bet on a low scoring affair between Newcastle and Tottenham, the result would have to be a maximum of 2-0 or 1-1 for an under 2.5 goals bet to win. Where Can I Play Over/Under 2.5 Goals Betting? You can place Over/Under 2.5 goal bets at almost every major bookmaker these days. It’s a huge market that has become a staple of football betting. The Premier League is a league full of goals, so is well worth a punt with the bet on the likes of William Hill, Paddy Power and Ladbrokes, as well as a whole host of other bookmakers. Our bookmakers page offers dozens upon dozens of great bookies to play the Over/Under 2.5 goals market, as well as other over/under goals bets. Every week we’re reviewing new bookmakers, so there’s always a new and exciting site to enjoy a punt on. When To Play Over/Under 2.5 Goals Bets? It can be generally quite easy knowing when to play an over/under 2.5 goals bet, with studying the form usually a great indicator. If two teams have been finding the net of late, then you can perhaps expect more goals than you would from two teams that have been getting by on 1-0 wins. In-form goalscorers will usually see an incline in the number of goals scores, as will leaky defences. On the other hand, teams that are solid at the back are less likely to concede and may be favoured more towards an under 2.5 goals bet. Injuries and suspensions can also be influential in the market. For example, Spurs’ chance of goals will be reduced without Harry Kane in the team, while Liverpool would be more vulnerable in defence without the likes of Virgil Van Dijk. A quick study of a fixture before placing a bet is well worth doing, and can usually give valuable insight into the number of goals that will be scored. For the most part, an over/under bet will be combined with a Match Result bet to increase odds, although there are a number of other over/under markets worth playing in the context of football. Below you’ll find a number of other markets taking advantage of over/under betting. Most punters will combine a over/under goals wager with the match result market in order to boost match result odds. This will significantly boost odds as you’re ultimately combining two bets and in order to win, both must come off. To win the bet you must successfully predict the winner of the match and the over/under result. This market is essentially the same as the goals market but betting on the number of corners within a game. It works in exactly the same way as goals and can be a nice way to boost odds and win a big payout. Again, exactly the same but a wager based on how many bookings and red cards you think there will be in the game. This bet is based upon how many throw ins you think there will be within a game. 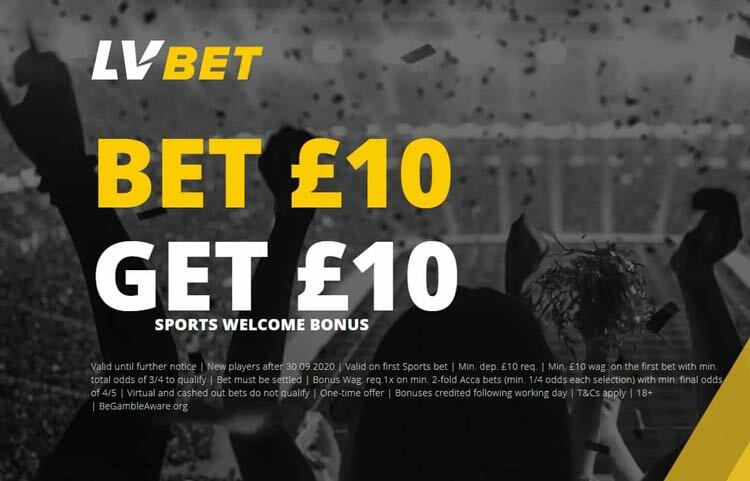 Of course, here at Bet & Skill we have tons of amazing betting offers from all the UK’s biggest bookmakers, so you’d be silly not to enjoy the Over/Under market with one of them. We dig out the best free bet offers, enhanced odds and welcome bonuses to ensure you maximise your betting with us. We’ll bring you offers across the likes of Betfred, Coral and more, with all our favourites featured down the right hand column as well as our Promo & Bonus page. "Over/Under 2.5 Goals Betting: All You Need To Know"